"For some children, fifth grade will be their last year of elementary school. This can be a big jump from elementary school to middle school—the structure of the school day is different and the level of student responsibility increases. Thus you will want to make sure your child is academically prepared for middle school by focusing on the development of the core skills needed for that more advanced environment. 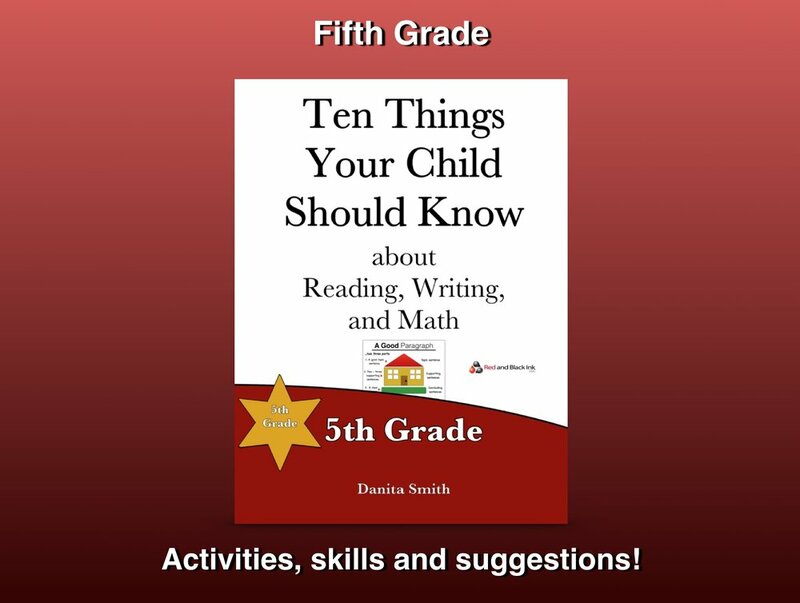 You will want to make sure your fifth grader has very good study habits and organizational skills. It may become necessary to have a more organized notebook with folders for each one of his or her subjects. It is likely that your child will have different teachers for several subjects. Your child will have a homeroom teacher and perhaps a different teacher for science and/or math, etc. This is done to help prepare students for junior high or middle school, because there they will have a different teacher for almost every subject." "In fifth grade children will expand upon their knowledge and use of division. In fourth grade they learned how to divide two- and three-digit numbers by one-digit numbers (e.g. 49 ÷ 7 = 7 or 560 ÷ 8 = 70). Now they will be introduced to dividing by two-digit numbers (e.g. 345 ÷ 35). This skill will undoubtedly require your child to learn how to again evaluate remainders when they occur as a result of a division problem. For example, 35 does not go into 345 in 10 equal parts. You might mentally check this problem by estimating that 35 would go into 350 exactly 10 times. But 345 is slightly less than 350 so 35 can’t go into 345, 10 times, thus the answer will be slightly less than 10. Estimating the answer to be about 10 would be fine if you were dealing with something like pencils for a fifth-grade class. If you gave out 345 pencils to 35 students, each student would get either 9 or 10 pencils. But what if this was money instead of pencils? In some cases it is important to know with accuracy how much a given value is. What if you were an employer and you had to divide $345,000 among 35 employees? You would want to know exactly how much each employee would get. Being off by just a few dollars per person could either cost you a lot of money or could result in your having a lot of unhappy employees on your hands. So figuring out how to work with remainders in the form of decimals is important." "As children progress through the fifth grade, they will be expected to sharpen their abilities to comprehend various kinds of reading material. It almost goes without saying here, but children who are not able to read well by the time they get into fifth grade are in need of immediate help. They will not be able to do well in middle school (and beyond) if they have difficulty reading and may begin to become frustrated with school because they are ill-prepared to succeed. Teachers are expected to do very little (if any) instruction on “how” to read in the fifth grade; almost all of their efforts will be on reading comprehension and interpretation." 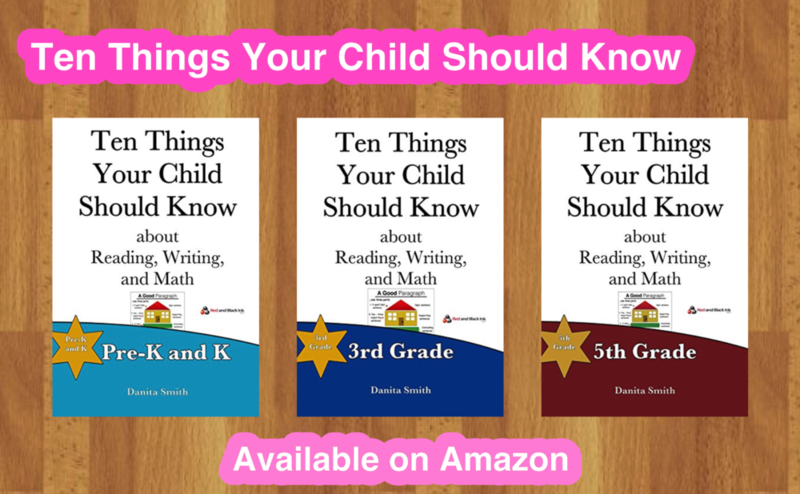 Ten Things Your Child Should Know about Reading, Writing and Math: 5th Grade, is available on Amazon. You may also want to take a deeper dive into fractions with your child. Our resource, available exclusively on our website, might allow you to walk your kid through different skills related to fractions (e.g., adding and subtracting fractions, mixed numbers, multiplication and division, etc. ), even though some of these skills might not be taught until 6th grade.